both items will be going to one winner. winner chosen by random.org and announced thursday. favorite 1581 designs on etsy. head on over to 1581 designs and let me know what your favorite item is. follow house of lovelock blog. what a fun one.. hope i win! i follow your blog (just felt like telling you....). fav'ed the shop on etsy. fav item: the owl bib! following house of lovelock's blog, too. Made 1581designs a favorite on etsy. Love the clutch from 1581.
i wanna win i wanna win i wanna win....following BOTH blogs! The ruffled pouches are adorable! I love the reusable bags at 1581 Designs. My favorite item is the clutch - any of them!! Oh I hope I win! Such a fun giveaway! Ohhh, what a fun giveaway! 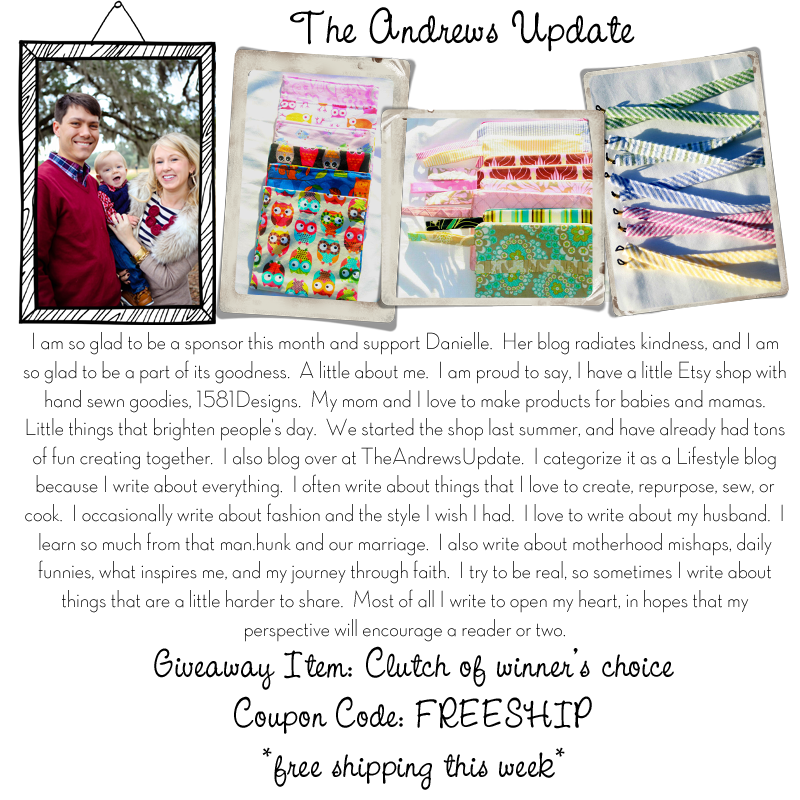 Now following the Andrews Update--what a cute lil blog! Ohhh my favorite item over at 1581 Designs has to be that zipper pouch in the greens! Love! now following House of Lovelock! I love the clutches in the 1581 shop -espeically the yellow striped! Wonderful items for your giveaway! Fun fun! I added 1581 designs to my favorites on etsy. Love your blog and this giveaway! My favorite item in the 1581 designs shop is the clutch! I would take any of the fabric combos. :) So cute! I follow the andrews update blog! Added 1581 designs on etsy as a favorite! Lovin all the 1581 zipper pouches! i follow house of lovelock! i favorited 1581 designs on etsy! (sandyalamode)! Love these! Would love to win! i followed the andrews update blog! 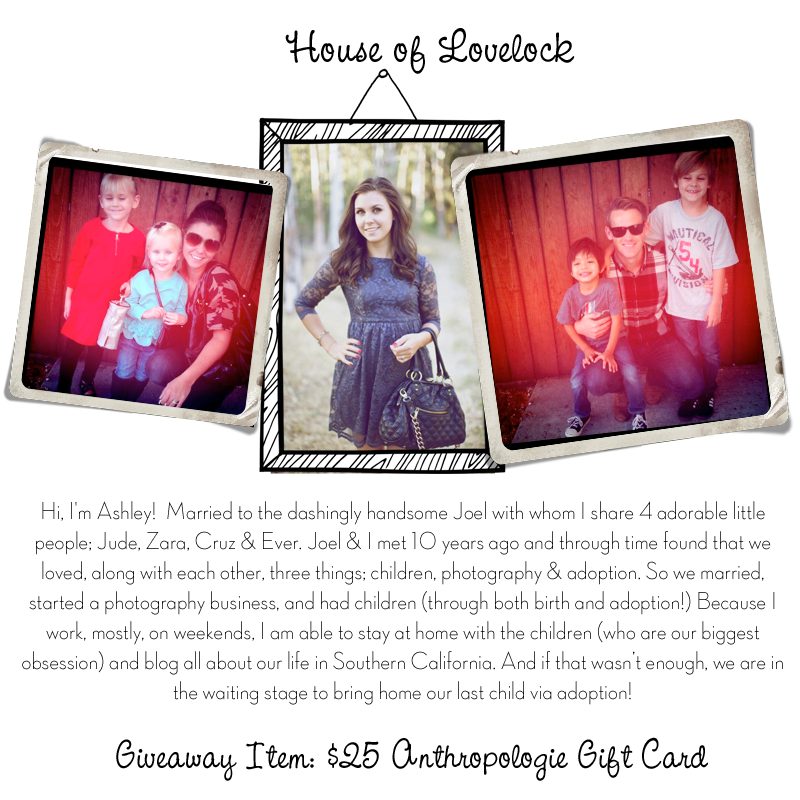 i followed the house of lovelock blog! i like the zippered pouches! I favorited 1581 Designs on Etsy! My favorite item from 1851 is the zipper pouch! So fun! Thanks a lot! My favorite 1851 item is the zipper pouch! So useful and pretty! Thanks again! I added 1581 to my favorites on etsy. And my favorite items are the reusable bags- I've been looking for some reasonably priced bags- and hers are a great price!